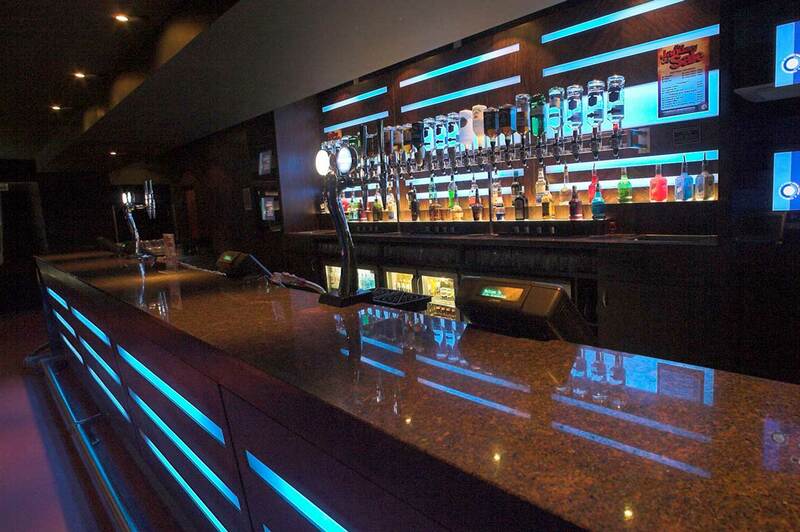 At City Nightclub, you will find an energetic mix of trendy people and big tunes. City introduce a unique clubbing concept to Falkirk, incorporating all of the essential elements that guarantee a spectacular night of extravagant, vivid and exhilarating entertainment! The Main Room, is a huge, cavernous space incorporating state-of-the-art technology, a pumping sound system and truly unique club lighting. Watch in amazement as the room comes alive with colour from the one-of-a-kind LED Ceiling or marvel as the music videos are synced perfectly on the video wall. The Main Room features two large bars and a number of seating areas that can be reserved to make your night, that little bit more special. The luscious surroundings are perfectly complimented by the awesome selection of DJ’s that have played and will play this amazing room. 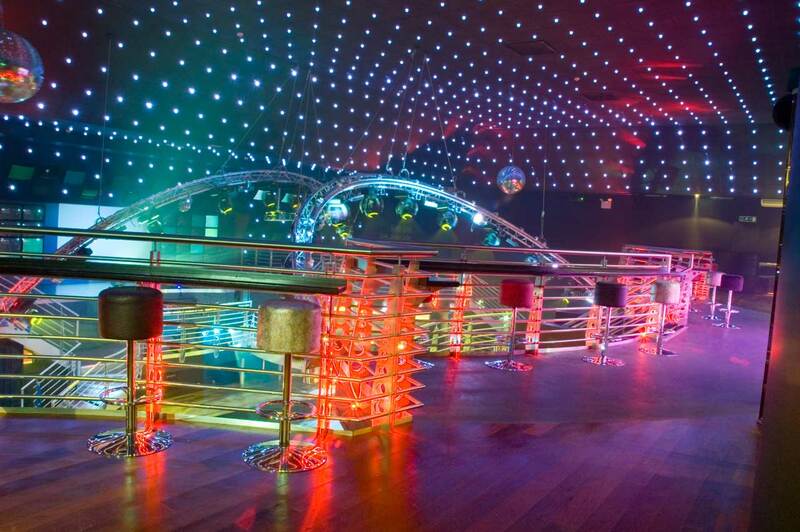 The Terrace, the gorgeous 2nd room in the nightclub just oozes class! 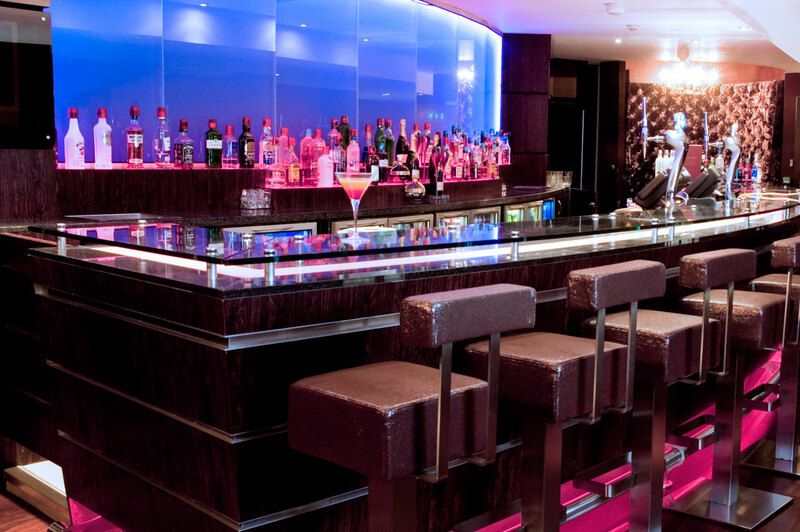 From the luxurious leather sofas and glass tables, to the colour changing wall and subtle bar lighting! The Terrace sits on the first floor within the nightclub and offers a Semi-Covered Smoking Balcony over looking the entrance. The Terrace can also be hired out for slightly larger bookings and is the perfect place to hold large business meetings or dining. Featuring Plasma Screens, Projectors and seating for up to 50 people, this is the perfect venue to hold any event. Ciroc Sky Lounge, our exclusive VIP area, offers the ultimate in style and indulgence. It is unquestionably Falkirk’s most exclusive venue. The Lounge is the perfect combination of stylish surroundings, premium products and unsurpassed service. It is the perfect place to celebrate a birthday or anniversary with friends and family or for the last night out of freedom before getting hitched – whether it be a Stag or Hen party!